Smartphones are big business, and Lenovo plans to reach for a more generous slice of the pie with the help of a company that shall remain nameless - at least for now. Lenovo released a clarification announcement to shareholders Tuesday about the company's smartphone ambitions, though it didn't actually divulge the name of which firm would help those plans come to fruition. Citing "certain articles published in the internet" relating to "a possible joint venture arrangement" between Lenovo and an unnamed party, the so-called clarification only served to raise more questions than it actually answered. While the announcement makes it clear the proposed joint venture intends to bolster Lenovo's smartphone business, Chairman and Chief Executive Officer Yang Yuanqing refers to the arrangement as a "potential transaction" and not yet a done deal. Earlier this year, Lenovo expressed interest in BlackBerry, the onetime Canadian smartphone giant currently in the throes of a comeback in the very market it once pioneered. 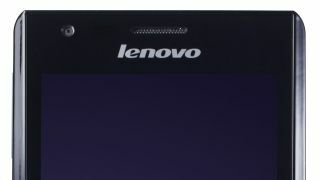 While BlackBerry CEO Thorsten Heins didn't completely dismiss the idea back in March, Lenovo has continued to launch its own Android-based hardware, most recently with the Intel-powered K900. According to Reuters, the joint venture partner could be NEC Corp., Lenovo's Japanese partner for personal computers that has acknowledged its own mobile ambitions are presently in "a difficult state." Lenovo is currently the second-largest manufacturer of smartphones in its home market of China, having ended 2012 with $1.6 billion (about UK£1 billion, AU$1.64 billion) in the bank. Find out more about the Intel-powered Lenovo K900 and NEC buyout rumors.